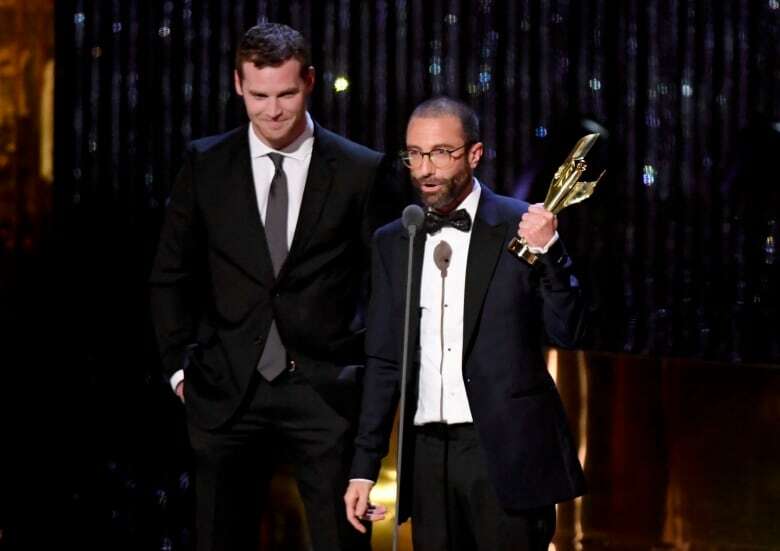 Schitt’s Creek and Anne with an E took the top TV honours at the Canadian Screen Awards, while the French-language drama Une colonie scored best film. Anne with an E, based on the classic novel Anne of Green Gables by Lucy Maud Montgomery, won a total of seven awards throughout the week, tying the crime drama series Cardinal for the most wins overall. 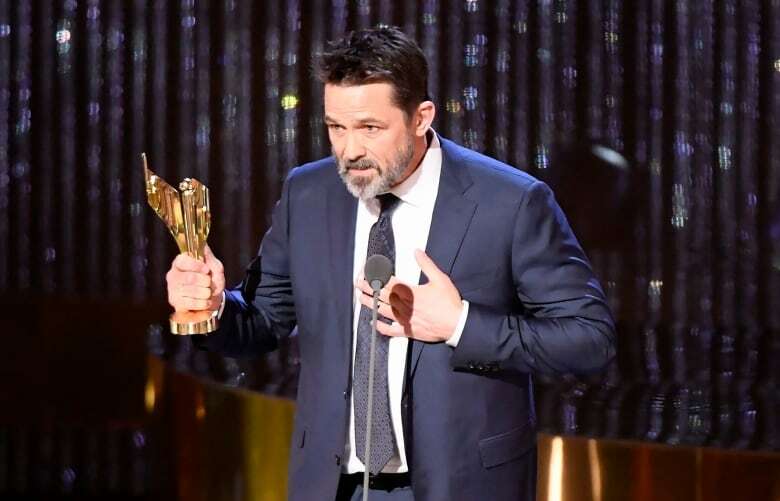 Cardinal: Blackfly Season actors Billy Campbell and Karine Vanasse both scored trophies for their roles on the series, which is filmed in Northern Ontario. The annual show was the culmination of a week-long celebration which honours the best in Canadian film, TV, news and digital storytelling. Letterkenny, a comedy about two friends living in a small Ontario community, won for its writing. Jared Keeso also took home an acting award. Une colonie (A Colony), a French-language coming-of-age drama about high school and family, won best motion picture. Jasmin Mozaffari won for directing the teenage drama Firecrackers. Special honours were given to comedian Mary Walsh. A writer-actress-comedian well known for This Hour Has 22 Minutes, Walsh was acknowledged for her achievements with the Earle Grey award. 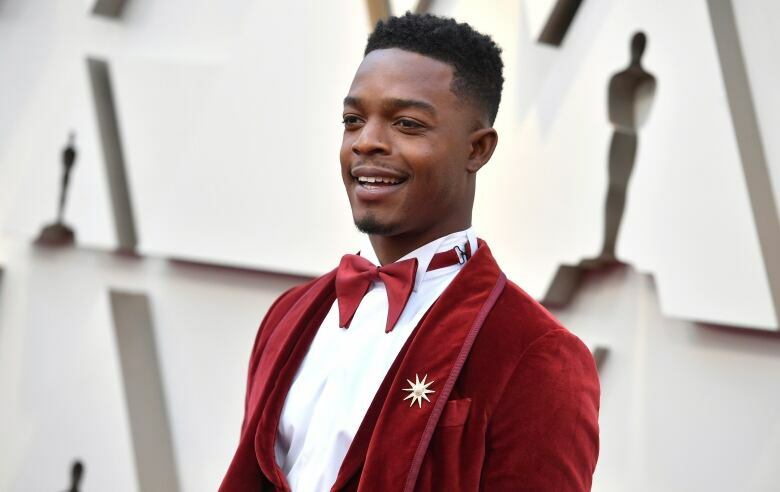 James received a Golden Globe nomination earlier this year for his role on the limited series Homecoming and rose to prominence with the 2016 film Race. He credited his hometown of Scarborough, Ont. — where he was raised with his brothers by a single mother —for laying the groundwork for his success. “I want to dedicate this award to young black boys and girls across the country,” said James. Filmmaker DeepaMehta received a lifetime achievement award. The comedy troupe The Kids in the Hall, whose eponymous TV series ran from 1989-95, received the Academy Icon Award. At a pre-televised ceremony earlier on Sunday called the Cinematic Arts Gala, La Grande Noirceur (The Great Darkened Days) took home the most technical awards and Sarah Gadon won for her supporting performance in the film. 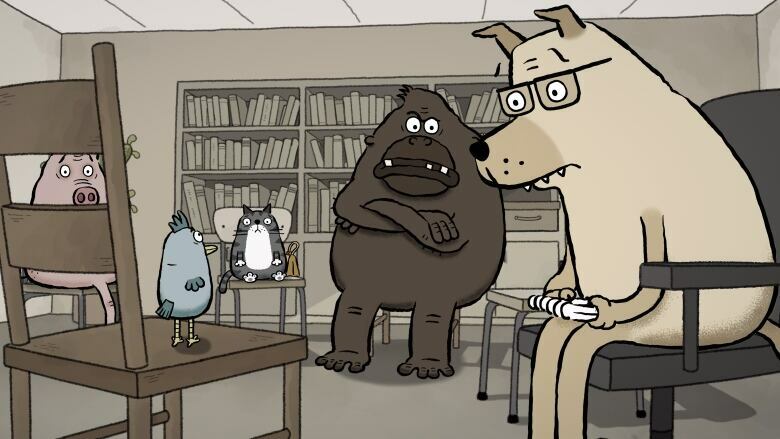 Oscar-nominated Animal Behaviour won best animated short. Its creators, Alison Snowden and David Fine, previously won an Academy Award in 1995 for their short Bob’s Birthday. Much like the Oscars did this year, the CSA broadcast has opted to go without a host and instead will insert comedy bits as entertainment in between award presentations. “One of the things we realized — and we realized it before the Americans did — is that the more we focus on our host and tap dancing and singing and telling jokes, the less we are focusing on the work we do here,” Martin Katz, the Academy of Canadian Film and Televison chair, said on the red carpet prior to the gala. Chien de garde (Family First). Dans la brume (Just a Breath Away). La Grande Noirceur (The Great Darkened Days). Émilie Bierre, Unecolonie (A Colony). Rose-Marie Perreault, Les faux tatouages (Fake Tattoos). Brigitte Poupart, Lessalopes ou le sucre naturel de la peau (Les Salopes or the Naturally Wanton Pleasure of Skin). Martin Dubreuil, La Grande Noirceur (The Great Darkened Days). Brandon Oakes, Through Black Spruce. Michael Rowe, Crown and Anchor. AmybethMcNulty, Anne with an E.
Caroline Dhavernas, Mary Kills People. Kristin Kreuk, Burden of Truth. Kim Coates, Bad Blood City. Mary Walsh, A Christmas Fury. Billy Campbell, Cardinal: Blackfly Season. Mark McKinney, A Christmas Fury. Letterkenny (Letterkenny Spelling Bee), Jared Keeso, Jacob Tierney. Mohawk Girls (White but A’right), Cynthia Knight. Nirvanna the Band the Show (The Book), Andrew Appelle, Robert Hyland, Curt Lobb, Jay McCarrol, Matthew Miller, Jared Raab. Schitt’s Creek (Singles Week), Daniel Levy. Trailer Park Boys (F–kin’ F–ked Out Of Our F–kin’ Minds), JP Tremblay, Mike Smith, Robb Wells. Geneviève Dulude-DeCelles, Une colonie (A Colony). Sophie Dupuis, Chien de garde (Family First). Daniel Roby, Dans la brume (Just a Breath Away). Maxime Giroux, La Grande Noirceur (The Great Darkened Days). Immaculate Memories: The Uncluttered Worlds of Christopher Pratt. La Part du diable (The Devil’s Share).